Home BLOG ITEMS GMA Win gadgets in GMA's 'Kapuso Lucky Star' promo'! GMA Network has this ongoing promo called 'Kapuso Lucky Star', giving away amazing gadgets! Thirty-five My Phone Uno mobile phones and Five Samsung Galaxy Tab 4 will be given away, and you can be one of the lucky winners! 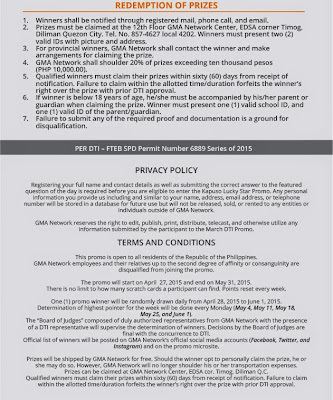 Just check out exclusive content on GMANetwork.com and look for hidden scratch cards! Collect points and be the highest pointer! Visit www.gmanetwork.com/KapusoLuckyStar, then complete the registration form provided. 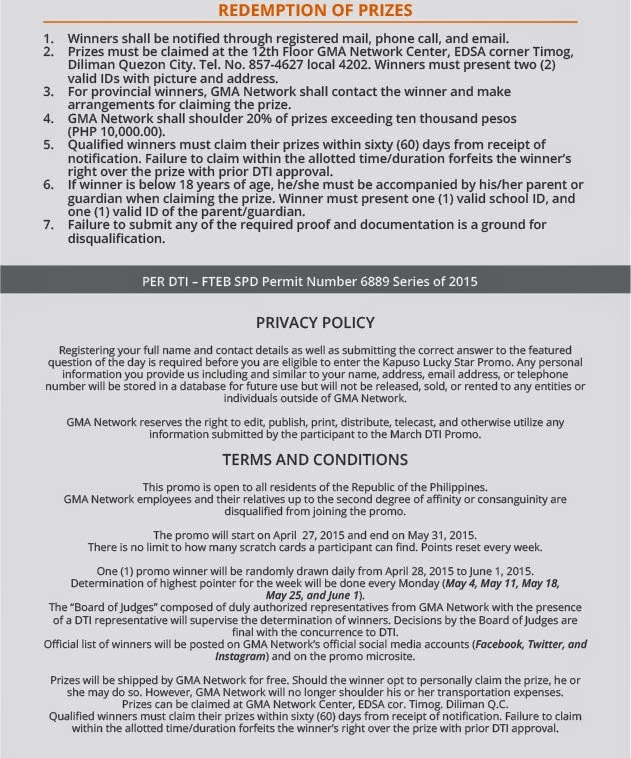 From April 27, 2015 to May 31, 2015, digital scratch cards would be scattered in GMANetwork.com. Scratch cards will give you points ranging from 1 to 100 points. Be the highest pointer for the week and win a Samsung Galaxy Tab 4! There will be a total of forty (40) winners: Thirty-five (35) raffle winners of My Phone Uno, and five (5) weekly winners of Samsung Galaxy Tab 4 (8GB).